These three control types have evolved to use more software and digital components, removing many of the functional obstacles between them and allowing them to communicate more freely. Remember when electricity was an accounting job? Remember when plant tasks were mostly maintenance? Remember when process control was just in isolated loops? For many, those memories are yesterday's and today's—not to mention many difficult days to come. For others, it's an old and isolated perspective that's rapidly shrinking in their rearview mirrors, as they coordinate their increasingly digital process, plant and power controls to various degrees and in combinations of twos and even threes that can cooperate to achieve new levels of efficiency, optimization and performance. In past years, power distribution/conditioning and building management/automation systems (BMS/BAS) historically provided the energy and environment for production, while process control monitored and optimized operations as they happened. However, as all three control types evolved to use more software and digital components in recent years, they've also grown more similar in appearance and in how they're applied. This removed many of the functional obstacles between them, allowing them to communicate more freely and begin to make performance gains by working in unison. "Process, power and plant control are coming together for two reasons. We're seeing a push from the top in favor of technology that's blurring the lines between these formerly distinct functions. Meanwhile, users want the ability to blend production and facility responsibilities, and do more with reduced headcount," says Will Aja, customer operations VP at Panacea Technologies Inc., a CSIA-member system integrator in Montgomeryville, Pa. "However, most building and power systems are fundamentally different from process systems, and they don’t provide a seamless interface between each other. They also have different languages, programs, hardware and lifecycles, as well as proprietary features that sometimes aren’t shared with clients out of the box. "We're studying three and working on two BAS migration projects for pharmaceutical applications, and evaluating what DCS or BAS might replace them. A BAS can do power and building automation, but it doesn’t handle true process applications well. Our studies show a DCS can successfully control building automation, utility generation and process control, though most manufacturers will segregate the functions under a common platform. Even segregated, this leads to stocking parts for fewer systems, less training costs, and better lifecycle support options, as well as integrated reports between the two systems." Ira Sharp, product marketing manager for control, safety and I/O at Phoenix Contact, adds that, "There's a growing trend of users seeking to tie their industrial applications and assets to their building systems. If you have a process or factory line running with PLCs, and lights and HVAC running nearby on a BAS, then the idea is to connect them for better resource conservation. Maybe not as much light or cooling is needed based on what operations is doing? "The other piece is better analytics. Where we used to have three separate control systems and independent consoles for process, power and building, software like Niagara 4 from Tridium Inc. has drivers that can bring together data from these disparate systems onto one interface. Our ILC 2050 BI building controller runs Niagara in an industrial hardware package that can bridge facility and factory production." "To move air and control temperature, humidity and pressure, BMSs historically used thermostats or larger devices, but recently they've been transitioning more to PLCs, which semiconductor manufacturers and data centers use for finer control," says Ed Elliott, business manager of the Process Automation Group at Wunderlich-Malec Engineering, a CSIA-certified system integrator, fabricator and engineering firm in Eden Prairie, Minn. "Previously, commercial temperature transmitters kept applications at ±2-3 °F, but their response time was slow. Presently, while some data centers can be at ±4-5 °F, their equipment needs to be kept at ±0.5% relative humidity, while some semiconductor fab areas need to be maintained at ±0.5 °F. "What's happening is, other users want this tighter control for their processes, such as pharmaceutical applications that need room-to-room zone pressure control at ±0.5 inch water column (in.WC) barometric pressure, which is 0.02 psi. Many regular building applications may also need more accurate instruments because a difference of just 2 in.WC between rooms can create pressure on doors. This is why uses are going with more high-end instruments or putting many more regular instruments in more places." 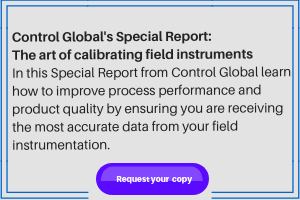 For instance, instead of using 50 regular temperature probes and transmitters in a typical facility, Elliott reports that some users are deploying 200 of these lower-end devices, but averaging their results for greater accuracy and more granular measurement in more locations. Meanwhile, he adds, some users may also decide to add higher-end temperature transmitters with ±0.05 °F accuracy that can determine ±0.5% relative humidity as a reference check on the regular transmitters. "Putting thermocouples every 4-5 feet all over an application or building makes it much easier to find hotspots more quickly, which allows for specific zone control of temperature, saving on energy and other expenses," explains Elliott. "These savings are crucial for data centers and other facilities, which require BMS equipment that can't fail because they're often built and rented as reclassified space that's guaranteed to be secure and maintain very specific environmental conditions." Melissa Topp, senior global marketing director at Iconics, adds that, "Over the past decade, many automation software vendors, Iconics included, have noticed the increasing need in building automation applications for monitoring and control abilities traditionally found in HMI/SCADA for industrial automation or manufacturing processes. Building operators now require the same level of data visualization, analysis, historical storage and mobility previously only found in legacy process control systems. "The process-power-plant convergence is due to each automation vendor’s ability to integrate with multiple disparate data sources. On the industrial side, this involves OPC-UA or Modbus. On the building controls side, devices and software typically communicate via BACnet. For networking or office machinery, communication may occur via SNMP. On the software side, some applications, including those from Iconics, allow quick recognition of electric, gas, water and other meters for energy monitoring, or equipment specifications for fault detection and diagnostics." Probably the choicest time to try to bring process, power and plant controls closer together is during scheduled downtime for renovations and migrations to new control systems. For example, when Eastern Province Cement Co. (EPCC) in Saudi Arabia revamped the electrical infrastructure on two 30-year-old production lines at its plant in Al Khursaniyad in 2016, the company upgraded its existing 75 medium-voltage (MV) switchgear panels to new protection relays, but it also integrated these power supplies with the plant's existing 800xA distributed controls from ABB. “ABB completed the final upgrade onsite during planned maintenance shutdowns, and teamwork by EPCC and ABB engineers made it possible to meet this challenge without affecting the other production lines,” says Mohammad Arif Khan, electrical and instrumentation manager at EPCC. The project included replacing the old protection compartment of the 75 MV (13.8- and 4.16 kV) switchgear panels with ABB Relion protection relays, integrating via IEC 61850 compliance with 800xA, and implementing other computer and network equipment. ABB also provided project management, engineering, site services and training together with its supplier EcoWatt Projects AG. Likewise, Anchor Glass Container Corp. reports one of two old melting furnaces at its food-grade container plant in Shakopee, Minn., was causing energy inefficiencies, threatening productivity, and not allowing more than two weeks of production data to be viewed. The facility is one of six that takes crushed, recycled glass; chemicals and other raw materials, melts it at 2,700 °F, and produces about 600 bottles per minute, or about 300 million per year with about 18 changeovers per month (Figure 1). The larger, 27 x 46-foot furnace is 17 years old, and needed to be re-bricked because its aging bricks provided poor insulation. This meant the furnace couldn't maintain consistent temperatures, wasted energy, and risked producing lower-quality product. The glassmaker adds its furnace's need for better thermal control was most evident in its reversal process, which relies on the regenerative furnace to maximize heat utilization. One side of the furnace captures heat; the process is reversed; and captured heat is reused by injecting it back into the furnace. Without tight control during this process, the furnace lost even more heat, and Anchor lost even more revenue. In addition, the furnace's old thermal monitoring system wasn't user-friendly, required time-consuming manual adjustments and charting, and only stored two weeks of data. This lack of data visibility made monitoring and trending difficult, and prevented valuable analysis. Furnace operators also relied on an old, analog alarm system with only 12 alarms for the plant. To develop a new furnace control system, Anchor Glass worked with longtime collaborator Stone Technologies Inc., a CSIA-certified system integrator from Chesterfield, Mo., and they implemented a PlantPAx DCS from Rockwell Automation to monitor more than 1,000 tags and 2,600 alarms, which are tracked for frequency to improve predictive maintenance. Historian software in the PlantPAx system also gathers data on furnace temperature, air pressure and other data points, which are viewable on an intuitive HMI with detailed sequencing that allows Anchor's operators to fine-tune processes for more energy efficiency. PlantPAx also let Anchor Glass adopt more intuitive controls with consistent faceplates that require less training to operate, which was essential because only six staffers run the Shakopee plant. To address energy losses during furnace reversal, Stone Technologies implemented scalable, controller-based sequencing that gives Anchor Glass' operators better control over each step of the reversal process. The system integrator also convinced Anchor Glass to employ new controls for slow processes by using the PlantPAx internal model control (IMC) process function, which assisted slow-acting loops such as Anchor's glass level and temperature control. “IMC for advanced process control applications provides a simplified control algorithm and model to provide better control without reaction to disturbances created by reversal or other factors,” explains Brad Downen, MES project manager at Stone Technologies. "Our studies show a DCS can successfully control building automation, utility generation and process control, though most manufacturers will segregate the functions under a common platform." This enhanced data visibility lets the glassmaker's operators manage temperature stability better during every minute of their day, recognize operational trends and patterns, pinpoint potential problems faster, and efficiently produce the optimum number of bottles per day. Since implementing PlantPAx at the Shakopee plant in 2013, Anchor Glass has also installed similar systems in three of its other facilities. “Since rebricking the furnace and implementing the PlantPAx solution, we've seen huge savings in our gas and electrical expenses,” adds Fiebelkorn. “I'd estimate an average of 15% of the cost savings is from having a better control system on the furnace.” In all, rebricking the melting furnace and implementing PlantPAx have improved glass quality and saved the Shakopee plant about 350 dekatherms per day, or about $766,500 in gas per year gas and $337,260 in electricity per year. Because it can be hard to see beyond—let alone give up—the old organizational silos and divisions between process, power and plant controls, many users find progress on converging formerly separate controls systems to be slow. "Most manufacturers are concerned first and foremost about the safety and process efficiency. They'd like to improve the efficiency of their buildings and facilities, but they won’t at the expense of productivity," says David Doll, industry principle for facilities and smart cities at OSIsoft. "You'll find the same thing in large commercial buildings, too. If employees get annoyed by a ‘smart’ lighting system that plunges people into the dark, out it goes." Doll adds the biggest factor supporting convergence is awareness of the gains and regulatory compliance it can deliver, as well as improved decision support. "There’s really no silver bullet," he explains. "Operations engineers are typically focused on productivity—keep the plant running, avoid mistakes, reduce downtime and repairs. They aren’t looking at the utility bill. Meanwhile, the CFO only sees the painful utility bill, but can’t see the cost of avoided downtime because it didn’t happen." One of the most important things about the Industrial Internet of Things (IIoT) is that it's bringing together different departments that otherwise may not have dealt with each other much, and are now realizing they have common goals. Because every process and building is different, Doll adds that, "Sometimes it's best to learn from your peers, adapt what makes sense, and talk to people about rebates and regulations. You really need to study the relationship between building and controls. You’ll be surprised. We had a customer, a large national laboratory, that was experiencing a regular dip in power consumption. Power would drop from 7 MW to a few kilowatts, and they couldn’t figure it out. Eventually, they found out that the droop coincided with maintenance schedules, and smoothed out the ramp to help their local utility. The same lab also discovered that winds over 65 miles per hour could ultimately lead to damaging fluctuations in power. "Building, power and process need to be more tightly linked, but they ultimately need to remain separate. Building needs can’t override legitimate process requirements. Not only can that lead to losses, it can pave the way for accidents. Still, better understanding the interrelationships will help lower costs and help make companies more competitive." Iconics' Topp adds, "Larger enterprise customers can realize the advantage of scale when combining their building, power and process control into a unified visualization and control dashboard. Automation software integrated with the IIoT and a mobile HMI can give executives a top-level view of operations from anywhere, and that can include any level of detail, including the quality/production of a manufacturing line, the efficiency of air conditioning in a factory, or the power status of a building’s lighting. Such convergence provides a whole added level to informed decision-making. "Organizations looking to combine their building controls, including energy management and fault detection and diagnostics, with process controls should thoroughly evaluate which software provides the proper level of integration with their existing and planned infrastructure, including the ability to communicate natively with all relevant building automation systems and process equipment. Then, it’s a matter of what actions can be taken with the connected data. Options include 2D/3D visualization and control with an eye toward the future of natural user interfaces such as Microsoft’s HoloLens technology. "It's also important to consider the ability to connect to widely dispersed assets via the cloud, such as through Microsoft Azure, which brings another set of compatibility questions and related communications protocols, including AMQP, HTTPS, REST/JSON, MQTT, etc. That data should then be sufficiently analyzed to make the best use of it. It will need to be stored/retrieved via a capable high-speed historian, as well as be made accessible via mobile devices." Beyond achieving performance gains from coordinating process, power and plant controls, process engineers and managers can also employ this convergence to bring in and optimize alternative energy sources. For instance, Stone Edge Farm Estate Vineyards and Winery in Sonoma, Calif., is implementing Ovation controls from Emerson Automation Solutions to reliably and efficiently operate its microgrid, which is a self-sufficient energy production and distribution application that relies on diverse electricity sources, such as solar, wind, hydrogen and batteries. In general, microgrids can run as an independent island, and disconnect or connect to the local electrical grid as needed. The 17-acre site includes a winery, farm and spa, which will use Emerson's Ovation distributed control system (DCS) to provide a concise view of all generating assets, and select the optimal way to meet energy demands while reducing environmental impact. Ovation's software, controllers, HMIs, networking components and I/O devices will manage Stone Edge Farm's internal microgrid assets, including solar photovoltaic and thermal rooftop systems, wind turbines, battery storage systems and a microturbine in a combined heat and power (CHP) plant (Figure 2). It will also interface with support systems controlling the microgrid’s connection to the electrical grid through local utility Pacific Gas and Electric (PG&E). "Microgrids are steadily becoming more prevalent as interest in energy independence and renewable generation grows, and as they gain traction, they'll begin to reshape the power generation sector,” says Bob Yeager, president of Emerson's power and water division. Likewise, Superior Controls Inc., a CSIA-certified system integrator in Seabrook, N.H., reports it recently implemented a $250,000 process control system (PCS) for a cogeneration plant that integrates the balance of its functions at one of Biogen's biopharmaceutical facilities. The system consists of one Emerson DeltaV node with redundant processors, which interfaces with devices via fieldbuses and an Ethernet gatewat, though communications from the DeltaV controller to the BAS and electrical distribution system are directed by Modbus RTU serial communications and don't pass through the gateway. The PCS at Biogen provides a variety of process control functions, including centralized control, consistent operator interfaces, alarm handling, security management, fuel oil and natural gas metering, electrical and steam utility monitoring, integration of continuous historian with overview screens, and field and skid components. System components controlled by and interfacing with the PCS include combustion turbine generator, heat recovery steam generator, duct burner, two auxiliary boilers, water treatment system, continuous emissions monitoring system, and ammonia system. Similarly, Rich Carpenter, general manager of the controls platform at GE's Automation and Controls, adds that its CPE 400 PLC with Field Agent software allows water treatment pumps that used to wake up and run the same way regardless of conditions to instead access data from cloud-based servers, and adjust their operating times based on prevailing energy prices. "These pumps can decide to run at 8 a.m. or 10:30 a.m., and gain a 6% better price, which can add up to millions of dollars over time," says Carpenter. "This kind of data can go wherever it's needed, whether it's to process, power or building systems." In the final analysis, which of the three control strategies is best at bringing in and handling the other two? Well, everyone has a favorite based on their experience, but this phenomenon is less about winners and losers, and more about cooperation that floats all boats. However, because computers, servers and industrial networks consume increasing amounts of electricity, Wunderlich-Malec's Elliott adds the data centers and other facilities it integrates are also monitoring power quality and consumption more closely, employing more power quality meters (PQM), and delivering data through the BMS to find more efficiency. This search is the real gravity pulling process, power and plant controls together. "Historically, the building/plant side had many commercial devices that ran on the BACnet communications protocol and LonWorks network platform, but the process controls previously couldn't talk to them, and the power systems weren't really wired in either," says Elliott. "In the mid-1990s, this began to change, and now all electric switchgear, stepdown devices, transformers and switches have monitoring and reporting capabilities, such as Siemens' and Schneider Electric's PLCs that are inside their power switching equipment, or Emerson's and Eaton's custom, panel-mount devices that report operating data via Modbus gateways or Ethernet. Communications standards like OPC-UA have also been helping plant, process and power systems work together. "We also have devices like Kepware KEPServerEX software and drivers that can talk with anything, such as BACnet, Modbus RTU and LonWorks, take their data back to control systems where it's all visible, and enable operators and engineers use it all in tandem. This not only helps users balance their power use based on rate changes, such as running air handlers based on cost, but also lets them run their handlers, dampers and other equipment to deliver cooling directly to specific hotspots. This also means one end user can manage several applications or facilities because all their various data sources are presented in one format via typical SCADA software like Iconics Genesis, Schneider Electric Wondeware, GE iFix, Inductive Automation Ignition or Tatsoft FactoryStudio." In the future, Elliott expects increasing use of WiFi, cellular and industrial protocols over wireless technologies will spur process, power and plant controls to cooperate even more closely. "Eventually, instrument data and alarms will push right from the plant floor to mobile phones or other smart devices," he adds. "This makes it important for users to stay on top of these technologies, and learn how to use OPC, Kepware, Ignition and others. Previously, systems integrators typically didn't have engineering staff trained to tunnel through or configure complex firewalls, VLANs and routers, but it's become crucial to the success of our projects. This capability allows integrators to set up client systems to manage and alarm a myriad of OPC or industrial protocol-enabled devices and monitor them globally across corporate IT networks, managing locations and specific rooms or spaces remotely with very high accuracy." Iconics' Topp adds, "One possible way the integration of building, power and process controls might evolve is in more consolidated communications protocols. These could be installed in new equipment for building/power or industrial use, as well as in retrofitting existing devices. Next, built-in auto-sensing capability would make it easier to add equipment to a combined monitoring/control network. It may still be a few years until a company can install any new device, whether for building/power or process control, and have it immediately recognized and added to centralized monitoring/control, but that scenario is rapidly approaching."